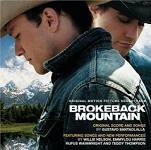 To some observers it must seem as though the name Gustavo Santaolalla came from nowhere in 2006 to win the Best Score Oscar and other awards for Brokeback Mountain. It is certainly true that his name is not as well-known as others in the industry, but he also received accolades last year for "The Motorcycle Diaries" (Diarios de Motocicleta) including winning the British BAFTA award for best score. The Motorcycle Diaries is based upon the Diary of Che Guevara who, as a student years before the Cuban Revolution, went with his friend on an 8000 mile trip across South America on a Motorcycle. As the trip takes the pair across Argentina, Chile, Peru, Colombia and Venezuela, the Argentinian composer Santaolalla was ideally suited to bring a regionally authentic sound to the film. In addition to the underscore, the film has some songs including two written by Santalolalla and the oscar-winning song "Al Otro Lado Del Rio" written and performed by Uruguayan composer Jorge Drexler. 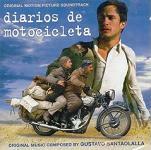 However, Santaolalla has been composing and performing for many years both in his native Argentinia and in the US. He has founded and played with a number of groups, starting with "Arco Iris" and then "Soluna" before forming "Wet Picnic" while in Los Angeles. His groups and his solo albums have primarily explored a mix of latin rock and pop styles. Instrumentally he is very much at home with a guitar and to date his film scores have tended to be sparse and economical in their scoring, suitable for reflective moments and with a touch of sound design to lend plenty of atmosphere, but he is certainly no stranger to other latin and orchestral instruments. Santaolalla is also a successful record producer and his label "Surco" has signed and produced a number of artists and released albums with a significant number of sales both in the US and in Latin America. The composer's most recent Oscar win is for "Babel". This perfectly judged soundtrack has tracks by other artists such as Ryuichi Sakamoto and all very nicely packaged together and cemented by Santaolalla's score. While continuing to score films and the occasional television production, in 2013 the composer also scored a video game "The Last of Us" which was nominated for a BAFTA. The composer's first solo album "Ronroco" was released back in 1998. 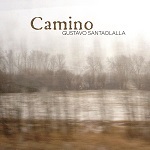 Now in 2014 he releases its successor "Camino" an intimate solo album which also features the Ronroco, an instrument from the guitar family originating in the Argentinian Andes, plus a rich selection of additional folk instruments both familiar and unusual. One track from the album comes from the aforementioned soundtrack to the video game "The Last of Us" which was released on Sony Playstation. Links to all these albums appear below. The Insider - the song "Iguazu"
21 Grams - a follow on from the same team who nmade "Amores Perros"
Collateral - also featuring the song "Iguazu"
Wild Tales - aka "Relatos Salvajes"